IMPORTANT DISCLAIMER: This checklist based Autism Test for Adults has been designed as per the guidelines set by Autism Research Center and should be used for preliminary screening only. Just like most other tests for spectrum disorders, the result of this quiz is purely suggestive in nature and should be, by no means, accepted as conclusive evidence for the presence or absence of autism in the test taker. For a full diagnosis, please consult a registered practitioner. Because not only does this test factor in all the 360 degree symptoms that adults with Autism may have, but it is also a self learning assessment tool that uses hundreds of thousands of data points gathered from millions of test takers that have used our test services in the past. Based on the previous online test results of adults with varying degree of Autism symptoms, this tool continuously learns and adapts itself to provide a more realistic and indicative assessment of Autism. What areas are covered in this Test? This test for autism in adults is quite extensive in terms of its coverage. During the test, you will be examined against multiple neuro-behavioral symptoms and your individual test responses would be measured against benchmarked patterns that our system has accurately established based on millions of responses collected from our previous test takes. By matching your responses against those standards, the test score will be displayed to you based on your degree of Autism Quotient. Every now and then, this Autism test for adults may contain a set of questions that are primarily experimental in nature. Though these questions will not be scored during the Autism quotient assessment, as a test taker, you will not be able to distinguish between these experimental questions and the real ones. This is done to ensure that we factor in new questions to check response patterns without compromising the integrity or the accuracy of the overall test scores. How to Understand the Autism Test Score? The Autism test score calculation uses a complex algorithm that takes into account your age, gender and your responses to the submission. Please note that this is not a definitive diagnosis of Autism and we strongly recommend you seek independent professional opinion. Score of 0 to 320 means No Autism. Your cognitive, social and behavioral patterns seem to be fine. It is highly unlikely that you have any form of Autism. The results you have entered indicate signs of a mentally healthy and socially cognitive adult. Though your responses have not indicated any concerning symptoms of Autism, there may be some minor traits of ADHD. You may need to take a separate test for that. Test Score of 321 to 885 means Less than 20% chance of Autism. Though you exhibit some very mild Autistic symptoms, there is no cause for immediate concerns. You are pretty much on the safe zone as the symptoms you display vary significantly from one person to another. At this moment, there are no red flags though you need to keep and eye out for those areas where you show strong Autism symptoms.The detailed report, that you would have received as an email attachment, will tell you exactly which areas of you need to monitor. Score of 886 to 1470 means that you may have Borderline or High Functioning Autism. While you demonstrate close to normal cognitive, social and communication skills, you also exhibit certain characteristics that borderline the Autistic Symptoms. There is a 50% likelihood that you may get a positive diagnosis. Your email would have the scoring as an attachment and we have also sent you a trackback link where you can view your results in future. You should get a printout and take to your local practitioner for a formal assessment referral. If you have received a Score of 1471 to 1865, then chances are pretty high that you have Fairly prominent Autism symptoms. You exhibit some fairly moderate to strong Autism Symptoms. When it comes to Cognitive, behavioral and communication skills, you seem to be quite lacking in some of these areas compared to other adults. Your email would have the scoring as an attachment and we have also sent you a trackback link where you can view your results in future. We suggest you get a printout and take it to your local practitioner requesting referral for a formal assessment. Finally, a score of 1866 and above means that you have more than 90% chance of being formally diagnosed with Autism. Based on the results you have entered, you seem to have some serious mental growth and developmental issues. Your behavioral pattern seems largely different from that of most typically developed adults of your age. But don't panic! Even at your age, a lot could be achieved through intervention and appropriate level of counselling. Your email would have the scoring as an attachment and we have also sent you a trackback link where you can view your results in future. We suggest you get a printout and take to your local practitioner requesting referral for a formal assessment ASAP. FIND OUT YOUR AQ SCOREStart Taking the Test Now! How to Use our Autism Test Report? Your adults autism test report would be sent to you via email with a detailed scorecard explaining your score and typical symptoms that you may have exhibited during the test. Please read this section carefully as it will help you understand your Autism Quotient. The result is displayed on-screen as well as in the email sent to you. We have also attached a webpage link where you can go and check your score in detail. Note: Because this is a paid test, the link will be active for the next 30 days after that it will be permanently wiped out of our servers. This is done to safeguard your privacy. The bottom of the page will contain a Print and a Generate PDF button that you can use. 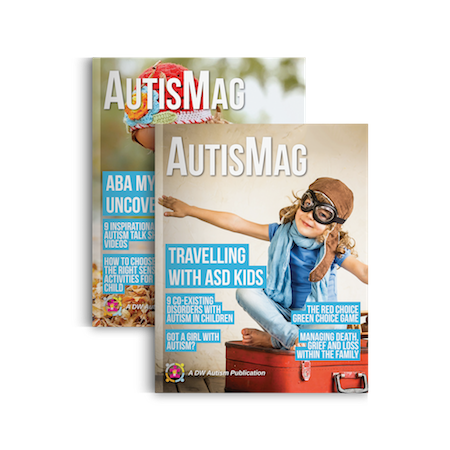 SECTION 2: Will tell you how the scoring is calculated and what each score gradient means from an Autism assessment perspective. This is primarily for your information. SECTION 3: In your response summary, you will see the entries you have made. We have also highlighted in Green, the responses that are acute symptoms of Autism. This will give you a good indication of where you stand compared to other adults in your age bracket. The further your responses are from the green extreme, the lesser autistic traits you display for that question area. Green doesn’t necessarily mean good in this case. Understanding How Test Questions relate to Adults Autism Symptoms..
Autism is a condition that is characterized by complexities in social communication and by repetitive behaviors. According to recent data estimates, one in every 68 children now has a diagnosis of autism. Autism is triggered by a combination of environmental and genetic factors. 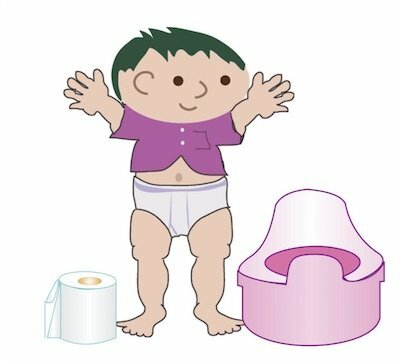 The condition is four times more common in boys than girls. Although there are rumors that autism is treatable, it should be understood that autism is a condition and not a disease. Autism cannot be cured but with proper and timely interventions one can expect those diagnosed with autism to able to cope better with their condition. 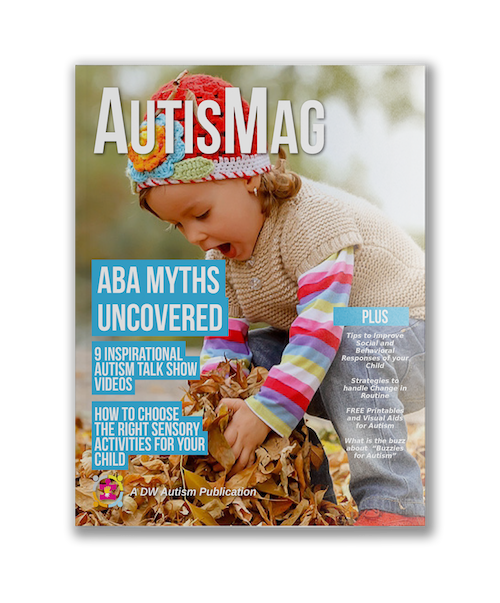 It will be helpful to read the explanations below for each question in this autism test adults section that you will have thoughtfully answered. It will help you understand the various factors that may be applicable to your situation. Note: There will be a $1.99 charge for this online test, but it will be well worth the money and time. Question No. 01: I tend to notice, and may get disturbed by, small sounds that others may not notice or care about. Explanation: You might often be unintentionally disturbed by small sounds. Although being occasionally disturbed should not be construed as a definitive sign of autism, if you find yourself to be constantly worrying about small noises and end up being disturbed, it may be a factor. That said, lower your probability of getting disturbed by smaller sounds or signals and you will lessen the symptoms of autism. Examples of small sounds: humming, phone vibrations, etc. Question No. 02: I get fixated by tiny pieces of information. Explanation: Have you often wondered why you get fixated by minute pieces of information when some of your colleagues or friends do not seem to be bothered by them? Although it is usually good practice to keep an eye on the details, being so concerned about smaller pieces of information that it ends up disturbing your normal life, could be a sign of autism. Your propensity to keep a keen eye on minute pieces of information should be balanced. Extremities on either side of the scale should always be taken care of. Question No. 03: I like to engage in activities or games with kids that involve pretending or make-believe. Explanation:Most of us love to spend time with our kids. Surprisingly, or rather quite shockingly, a few parents don’t like spending time with their kids. They are busy in their own world and try to avoid spending their valuable time with their loved ones. This can lead to them suffering higher stress levels. If you find yourself to be on the other end of the scale, it should start ringing alarm bells. Question No. 04: Even if I am reading a best-seller, often I don’t understand what the characters are up to or what their intentions might be. Explanation: We sometimes find ourselves in a situation where we are unable to work out what the intentions of fictional characters are. When we delve more into the story, the picture gets clearer and we start to understand the plot. Sometimes we might be in a situation where we just do not understand the plot and skip reading the book. If this is a one-off it can easily be ignored. However, if you strongly believe you are unable to get into the mindset of characters, no matter how much you read or try, then it is important that you take notice of this to recognize whether you might need some external attention or intervention. Nevertheless, the autism test for adults will help you to get a unique glimpse of your adult autism symptoms. Question No. 05: When looking at a person, I am often able to guess what they might be thinking or feeling. Explanation:Are you able to predict someone’s mood just by looking at them? No, we are not talking about premonition. Many of us can understand how our loved ones are feeling just by looking at their expressions. At times, we try to understand if they are being sarcastic or not. Of course, no one can understand everyone on this planet! But if you find that you are not able to decode or understand your loved ones most of the time, you might want to take an autism screening test. Question No. 06: I find it hard to imagine what it would be like to become someone else. Explanation:How often do you find yourself imagining what it would be like to walk in someone else’s shoes? Most of us tend to do this at some point in our lives. There is no harm in imagining ourselves in another’s shoes. Did you know that it has also been suggested that using our imagination can help us to exercise our mind? However, if you are someone who finds it hard to imagine walking in someone else’s shoes, or empathizing with their situation, then it could be something to explore further. Question No. 07: I generally understand the boundaries between being rude vs being polite. Explanation: There is no doubt that some of us are good at distinguishing good from bad and vice versa. We are also able to draw a clear line and know when someone is rude or impolite to us. On the other hand, some people find themselves less able to distinguish between human emotions. If it’s just a one-off case, it can easily be ignored, however, if this happens too often it is a signal that should never be ignored. The adult autism test will assist you in understanding your unique reactions to various situations. Question No. 08: When in a social situation, I am relatively easy going. Even though I may initially be uncomfortable, I warm up to the occasion eventually. Explanation: Social situations can reflect how good you are at understanding others and how easily you cope when faced with an unfamiliar situation. Being disinclined at times is not necessarily a bad thing but isolating oneself can be known to trigger depressive symptoms. If you feel that you can relate to this, it is advisable to seek timely help. Explanation:Does the size of one’s circle of friends have any role to play in an adult autism diagnosis? This is debatable, but observers believe it provides clues when diagnosing the condition. Researchers conclude that the larger your friendship circle, the better you are when it comes to socializing. Question No. 10: I usually enjoy doing stuff with others rather than just by myself. Explanation: Do you enjoy fun activities by yourself or as part of a group? If you are someone who doesn’t like the idea of mingling or getting involved with others for fun activities, it is believed to be one of the major signs of autism. Question No. 11: I don’t understand why sometimes my friends, or immediate family members, get bored or annoyed by something I have done. Explanation: Do you love to annoy or play pranks on your loved ones? Yes, every one of us loves to play a prank at some time or other. However, being too annoying or, for instance, being boring (however unintentionally) or being inconsiderate towards others is never a good sign. That said, if you are someone who understands how to balance the situation, it should not be a major factor. Question No. 12: I tend to feel out of place in a large group or social gathering. Explanation:Are you someone who feels left out all the time? Yes, there are many people out there who enjoy being alone in their own world, until isolation takes over. Once the feeling of being isolated kicks in, people literally feel they are left out all the time, even though the situation might be otherwise. This sign does not resonate well with a person’s feeling of well-being. Question No. 13: I enjoy casual conversations with friends and family members. Explanation:If you answered the previous question negatively, that is you don’t like the thought of being left out when in a gathering, you are in for some good news. Casual conversations with friends or family members are always a healthy sign that should be cherished. Question No. 14: I get excited about weddings and themed parties. Explanation:Love functions and parties? This is a tricky one to answer for many of us. We may love some or we might end up staying away from some. A balance between the two extremes is seen to be a sign of a mentally-healthy individual. Question No. 15: I have a good understanding of what my friends and family expect from me. Explanation: How would you rate yourself when it comes to understanding your family’s expectations? Are you someone who can outperform these expectations or are you worried about not being able to live up to them? This is an important question that is helpful in deciding the course of your personal-life as it reveals how you might fare within your family circle. After all, family relationships are the closest of all the people in your life. Question No. 16: I enjoy meeting new people from different cultural, social and financial backgrounds. Explanation:We don’t all get the opportunity to meet and interact with different people all the time. However, the larger picture lies in how you react when you meet someone from a background that is totally different from your own. When we say different, it can be anything! They could be from a different ethnic background, or from the other side of the globe. Do you find yourself welcoming them? Or do you enjoy racially discriminating a person? If you find yourself leaning to the other end of the scale, it is a worrying signal that needs to be addressed with proper and timely intervention. Explanation:Have you ever taken some time to observe how different people behave when they are bored? It is interesting how all of us enjoy doing different things. Please choose the appropriate option that best fits you and this will help the algorithm to understand your personality. Question No. 18: I really enjoy being the center of attention in a group. Explanation:Do you secretly wish that you were the center of attention? Or are you the kind of person who prefers to stay out of the limelight? Although there are many theories which suggest that trying to seek too much attention all the time isn’t healthy, the truth is there is not enough evidence to back up this claim. That said, having a good balance is always seen to be a better option. Explanation: How would you react if someone came up to you and requested a date? Would you find that your temper shot up? Having a balanced and a stable mind when faced with unexpected situations can have a greater impact on our well-being. Question No. 20: When in a social gathering, I can participate and keep track of multiple conversations. Explanation: This question is more of an extension to the earlier question in the previous module. Imagine a situation where you are with some of your best friends. How would you react? Will you be able to keep conversational pace with everyone at the same time? Or would you prefer to stay away from the gathering and meet one friend at a time? The way you interact with others can describe your personality in surprising ways that you may have never thought of! Question No. 21: Making up stories as casual conversation starters comes easily to me. Explanation: Have you seen how good some people are at making up stories? When used in the right way, these little story-telling hacks can come in handy as amazing conversation starters. Although not all of us can be great at starting conversations all the time, observers believe it is good practice to strike a healthy balance while also understanding when it is better to start or not start a conversation. Nevertheless, this distinction reveals some intricate details about how one can shape his or her personality towards a better outcome. Question No. 22: I enjoy casual chit chat, gossip, rumors and similar ‘FUN’ conversations. Explanation:Imagine you are on a weekend trip with your besties. Would you talk nonstop with your friends or do you prefer to stay quiet? Your choice reveals a lot about you. Question No. 23: When I talk, I rarely give other people the opportunity to utter a word. I feel deeply disturbed if I am interrupted. Explanation:Imagine you are in a situation with someone who loves speaking without interruption? Are you easily able to cope with a person who won’t let you speak? Put yourself in that person’s place and decide if you are someone who hates to let others voice their opinions? Maybe you don’t mind being interrupted a few times whilst you are talking? This question is crucial in revealing interesting facts about your personality. Question No. 24: Keeping a conversation going is often a challenge for me. Explanation:Let us rephrase the question; How good are you at keeping a conversation going when faced with a dead-silence? Are you someone who loves chatting or are you wary about how to strike a balanced conversation? Although there is no hard and fast rule that applies here, having a balanced approach is always beneficial. Question No. 25: I can read between the lines when in a conversation. Explanation: Are you good at reading between the lines and do you try your best to uncover what’s going on in the back of someone’s mind? Do you always try to read what their real intentions might be? Choose the appropriate option that best fits your personality. Question No. 26: While speaking on the phone, I am often not sure when it’s my turn to speak. Explanation:Imagine you encounter a happy situation! You just cannot wait to convey the news to your loved ones? How would you describe your conversation? Does your excitement make you forget when it is your turn to speak? Or do you let your excitement control your emotions? Choose the appropriate option that best describes your situation. Question No. 27: People often complain that I tend to keep going on and on about the same subject. Explanation:How do you react when you are faced with a hurtful situation? Do you get back home and rant and rant until your family or friends have had enough, or do you deal with the situation in a calm way? Having a balanced approach can work wonders when faced with situations like these. Nevertheless, if you are still unsure of your reactions, choose the option that best describes your situation. Question No. 28: I am a good diplomat. I can avoid tricky or complicated situations. Explanation:How good are you when it comes to avoiding confrontation? Do you prefer moving out of the situation or do you believe in your muscular power? The way you deal with tricky situations that seem to come out of nowhere can reveal important personality traits that might be unique to you. Question No. 29: I am more comfortable doing things the same way every time, even though there might be a better alternative. Explanation: We try something new and we love it. We slowly repeat until it is no longer difficult. We tend to stick to the same routine since it gets recorded at the back of our subconscious mind. At times we get so accustomed that we refuse to follow the easier path just because it involves learning something new. For example: Taking that same old road to the office every day. Question No. 30: I have little or no problem with imagination. When I imagine something, I find it easy to visualize. Explanation: How good are you with your imaginative skills? If you are having a difficult time answering this question, think back to when you were in school! Can you imagine your younger self? Can you visualize lying on your bed after a full day at school? This should help you to answer this question to the best of your ability. Question No. 31: I get so involved with something that I tend to overlook other activities that I needed to pursue. Explanation: How would you describe your involvement in a particular task? What happens when you need to do something else in between to keep your productivity levels up? Although most of us prefer doing one thing at a time, as it helps us to stay focused, the truth is we all need to multitask at times. However, there are people who suffer anxiety when asked to multitask. Balancing between tasks should always be prioritized rather than sailing towards either of the extremes. Question No. 32: I have a powerful imagination. If I am reading a story I can easily imagine what the characters might look like. Explanation: Can you remember how well you fared when you had to enact an imaginative assignment at school? Are you able to imagine and visualize yourself back when you were in school without any difficulty? Try imagining a character out of your favorite childhood story and enact it. It could be as simple as remembering a 'QUIRKY LINE' and repeating it! This should help you to answer this question without any difficulty. Question No. 33: I am more strongly attached to people than things. Explanation: Would you call yourself a people centric person or a materialistic person? This should ease your worries when it comes to answering this question. Explanation: Let’s start by rephrasing this question! How would you react to routine changes that only happen occasionally? For example: Let’s say you love going for daily walks. On one fateful day, you miss going for a walk due to some important work that needs your attention. Do you get angry or upset? Do you accept the changes happily? Spend some time considering some unique situations that are particular to you before answering this question. Question No. 35: The ‘big picture’ interests me more than small details. Explanation: Let’s assume that you are working on a big project of some kind. How would you describe the project? A project is nothing but a collection of smaller milestones that progress towards a bigger end result! Are you more interested in the larger picture towards the end of the assignment or do you love taking minor details into consideration to have more control of the result? Question No. 36: I feel very strongly about things I want to do. I do get upset if I can’t pursue them, even though there may be a valid reason. Explanation: Let’s rephrase this question from a career angle as most of us can easily relate to this scenario. Are you someone with big dreams? Do you have a definite plan for achieving your dreams? How upset would you get if you were unable to pursue them even though there may be strong reasons for your path getting deviated? Explanation: How would you react if your superior requested that you move on to a different activity? Would you try to explain that multitasking is not your forte or would you end up losing your temper? Your reaction to these smaller things in life mark a major difference in describing the type of traits you have. Question No. 38: I tend to get anxious or nervous when faced with a new or unexpected situation. Explanation: An extension of the previous question, how good are you when it comes to multitasking and meeting the expectations set by your superiors? Would you tend to explain how good you are when focusing on the task at hand and that you’d hate to deviate from this task? Or would you accept it anyway, just to stay in your superiors' good books and struggle to complete the task? There are instances when people multitask and manage things even if they do not feel good about it. On the other hand, there are a few gifted individuals who manage to get things done every day. Select the right option that best fits your situation. Question No. 39: I am comfortable with multi-tasking. Explanation: Both kids and adults with Autism find it extremely difficult to be able to multi-task and smoothly transition between activities. So, in this test for adults with Autism, if you have nominated that you find it really difficult to manage simultaenous tasks, it will score positive for Autism. Question No. 40: I often rely on my instincts and act spontaneously. Explanation: Extending our previous discussion, would you rely on your instincts when faced with an unfavorable situation such as being assigned additional work even though you are busy with other tasks? Do you believe in being spontaneous? If not, you now know what your answer should be! Explanation: Imagine you are occupied with a boring task! You are given a wish to immediately change the situation for the better. Where is your ideal place to be? Question No. 41: I may not be a mathematician, but that has nothing to do with my love for numbers. Numbers fascinate me! Explanation: How would you rate your numeric skills when it comes to understanding numbers? For instance, you love playing with the calculator in your phone and key in numbers that matter to you. Explanation: Let’s go back to one of our earlier questions where we visualized our time at school. Let your imagination come to the fore and rate accordingly how you fared in the following subjects when you were back at school. Explanation:All of us love weekends and we have our own set of expectations about how our weekends should be. How would you prefer your ideal weekend to be? If your answer is not reflected in the given options, it is advisable to select the nearest option that you believe closely reflects your expectations. Question No. 44: Patterns exist everywhere, and I can spot them easily. Explanation: Do patterns interest you? Patterns could be anything and need not be specific. For instance, a mathematician might visualize patterns in numbers. On the other hand, an average person might see patterns in the sea waves whirling. Children might find patterns in their games, and so on. The question remains, how good are you at spotting patterns and how much do they interest you? Question No. 45: I hardly notice small changes in a person’s appearance or in a situation. Explanation: Many times we are caught unawares and notice small or minute details in a person’s appearance. This might or might not have any relevance to the situation but one cannot help noticing. Explanation:This question is self-explanatory and easy to answer. Which is your favorite social media hangout? For those who are active on more than one, decide which you prefer the most. Explanation: What, according to you, is the best way to overcome a terrible mood? Do you prefer the yogic way, or do you love exercising? Or, for those of us who are neither yoga fanatics nor exercise enthusiasts, would you prefer to eat some chocolate or spend some time listening to that amazing song you have saved on your phone. Are you an impulsive shopper by nature or a pet lover? Select the appropriate answer and allow the smart algorithms to help you know more about yourself. Explanation:How would you best describe your usual mood? It is often said that being too happy or too sad all the time is a signal that something isn’t right with the situation. A balanced approach towards life is always the best way to overcome any stressful situation. Nevertheless, select the appropriate option that best fits your situation. Explanation:Have you ever noticed how difficult it is when someone asks us to describe ourselves in one single simple word? Many of us are dragged to fancy sounding words which bear no resemblance to us. Choose something meaningful, for instance, cool, good, best, happy, merry, rocking, fun, adventurer, etc. Question No. 50: Using your desktop mouse or finger, draw any geometric shape that comes to mind. For example, square, circle, triangle, octagon, etc. Explanation: Have you ever encountered a signature specialist? Drawing a regular shape helps us to understand your autistic personality type. Draw a self-explanatory diagram to decode the larger picture of your inner-self. Structure: This Computer adaptive quiz for Autism Spectrum Disorder in Adults has approximately 30 carefully crafted questions that would be intelligently selected by our system, from a large question bank, based on your age and gender. It would take a good 8 to 12 minutes to complete and could be a bit intensive. There is no time limit. The Best Part: At the end of this test, you will get a detailed report with your Autism Quotient and a detailed analysis of where you show strong Autism symptoms. It would be worth your time! And fun too! The Quiz Overview, at the start of each section will provide you some insight on what that section tries to evaluate. The first 2 questions are optional. For Privacy and Legal reasons, we can only request you to enter your age and gender. Having said that, sharing this information will help us ask targeted questions and provide you with a more accurate summary report. Observation skills play a very important role in Autism diagnosis. A typical adult with Autism would be highly observant in certain areas while lacking in some generic observation skills. In this section, we will evaluate both your strengths and weaknesses. The objective of this section is to evaluate the social interaction skills that you possess. Your social habits, and the circle you mingle with tells us a lot about your Autism Quotient. The purpose of this section is to evaluate your communication skills. The questions would be targeted around the specific areas that are applicable to your age and gender. Personal habits play a crucial role in accurate diagnosis of Autism in Adults. This section will try to assess your sensory, cognitive and behavioral patterns. Please enter your Name and Email address below to view your Report and to get an Email copy of your ASD Quotient. There is a small one time fee of $1.99 for what is the most sophisticated Autism scoring tool available online. Only our tests are self evolving, i.e. with every test, our system collects more analytical data to automatically improve its algorithm. We charge this token amount to keep spammers away from running tests for fun and messing with our data quality. This way, we ensure the availability of HIGH QUALITY and RELIABLE test results for adults who seriously want to know if they may have Autism. With more than 1100 test results sent EVERYDAY, there is a reason we are the #1 Autism Test Platform available online. As soon as you complete the test, you will find out why. 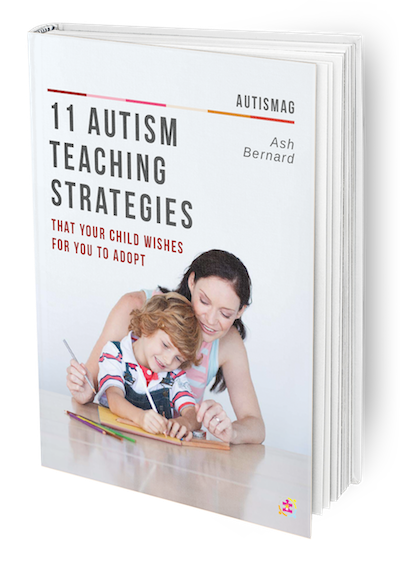 ☑︎ A detailed PDF report on your Autism Quotient + next steps. ☑︎ Explanation of how your score is calculated – we hide nothing! Thanks for completing the Quiz for Adults. You have received an Autism Quotient score of %SCORE% which translates to %SCOREPERCENT% Percent. In your response summary you will see the entries you have made. We have also highlighted in Green, the responses that are acute symptoms for Autism. This will give you a good indication of where you stand. A separate email has already been sent to you with details of your submission and your score analysis. The score calculation uses a complex algorithm that takes into account your age, gender and your responses to the submission. Please note that this is not a definitive diagnosis of Autism and we strongly recommend you seek independent professional opinion. We understand that your personal health situation is extremely personal to you. For this Autism Test for Adults, it is our obligation that your responses are neither disclosed nor shared with anyone. So that you have online access your test results via the trackback link that we attach to your report , we will store your responses for the next 30 days after which they would be permanently deleted from our servers. As far as your payment details are concerned, we DO NOT store any card information - they are encrypted and processed through the highly secure Stripe/Paypal gateways. Note: You just participated in a computer adaptive Autism Quiz for adults aged 16 years or more. As a part of this test, you have only been asked a select list of approximately 50 questions from a large library of available questions. Our software algorithm has selected these questions based on your age and gender.